I haven’t had a chance to post on here in a while, but there’s a great reason why. I’ve been really busy working on a BIG project. One that involves photography, but in a different way. I recently opened up my own environmental education organization Biosphere Environmental Education. And within it, I’ve created a unique environmental education program. It’s called the Youth Environmental Ambassadors Program or the YEAP. What does the YEAP do? Well, we’re just starting out, but our program will take kids on expeditions around the world, to experience nature first hand, to see its beauty, understand how it works and how valuable they are. 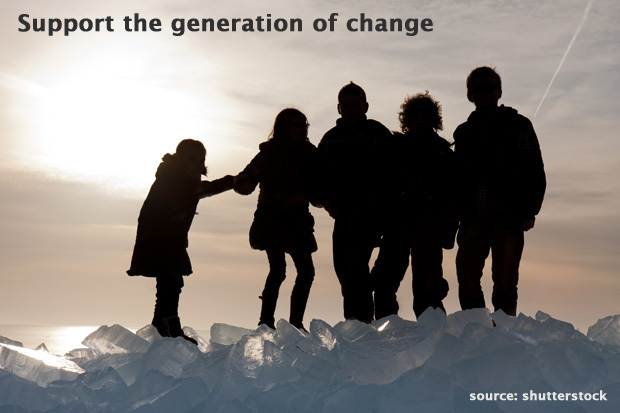 They’ll learn about the human impacts on it and what their generation can do to reduce those impacts. Our program is different than other environmental education programs out there. It uses photography and videography to teach environmental ed. We’ll be teaching high school students how to shoot and edit photos and videos with impact. They’ll be documenting the environments that we’ll be experiencing, what’s unique about them, what’s beautiful about them, what’s valuable about them and what the human impacts are on them. And then we’ll teach them how to use those stills and video to put together stunning visual presentations that they’ll give to their schools, their clubs, their communities and most of all, their peers. So, we’ll be teaching them how to become environmental ambassadors, sharing their own messages about the environment and how we need to make changes to lessen the human impacts on it. Our mission…. is to mentor a new generation of leaders, innovators, and world citizens who believe that the long term health of earth’s environments is at least as important as profits and development, and who will guide their generation toward a sustainable way of living. We’ve been given a golden opportunity. We’re collaborating with a fantastic organization called Students On Ice. They’re an award-winning organization that runs youth expeditions to the arctic and antarctic. 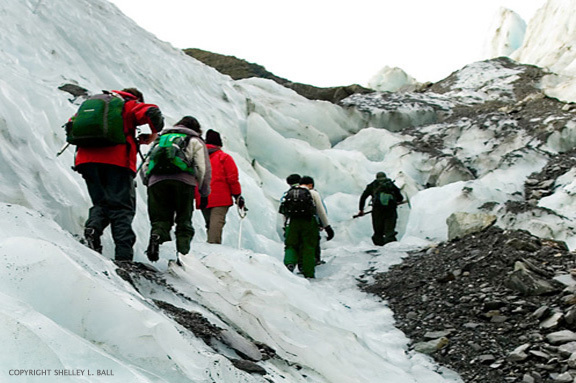 They’ve been doing this for 14 years and have taken over 2,000 kids on these expeditions. Students On Ice has provided us with the opportunity to launch our Youth Environmental Ambassadors Program on their July 2014 expedition to the arctic. We’re so excited about this! But the expedition is expensive. It’ll cost over $10,000 each, for me an my co-teacher to be on that expedition, delivering our program. And so we’ve created an Indiegogo crowd funding campaign to raise the money we need to be on that expedition. We would love your support! Click HERE to visit our funding campaign. Watch the video that tells you what we are doing. And then click on one of the ‘perks’ to donate. We have funding levels from $20 all the way up to $2500. Each and every dollar matters! We really need your support. If you can donate to our campaign, we’d be extremely grateful. And we’d also love it if you could share the link to our campaign with your friends – either by clicking on one of the social media buttons on our campaign website. Or sharing this post. Or emailing your friends directly. Our campaign will be running for another 38 days. We’d love your support. Visit our campaign website and let us know what you think. As many of you are fellow photographers, I hope you can see how using photography and videography to teach environmental education, can provide a new way to interest and motivate youth to learn about our environment and to take action to be the generation that does something big about the human impacts on it.